A year ago today, I owned one pair of running shoes . Today I own over 15 pairs. Ever since I was old enough to buy my own shoes, I had a massive shoe addiction. One of my first jobs was at a shoe store which offered me a 40% discount. While I would like to blame that, it started well before. I will never forget a day in the 5th grade. I was jealous my best friend Keri got a new pair of shoes. I destroyed a nearly new pair of shoes to get a new pair (which worked by the way). While I know I have an issue, there is no better feeling than opening that brand new box of shoes. 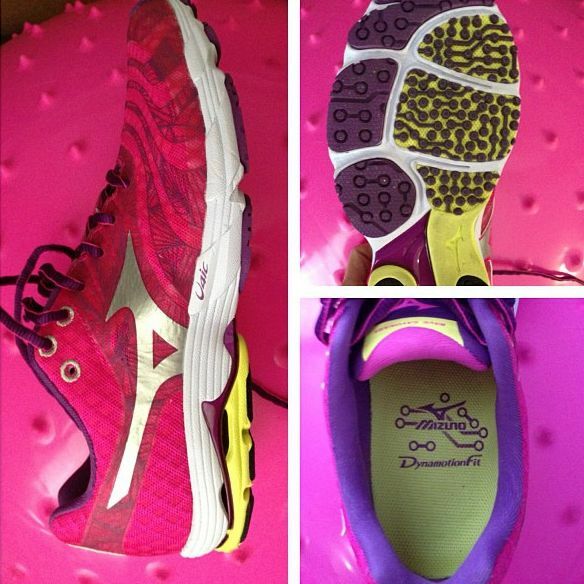 When I was given the opportunity to check out Mizuno Wave Sayonara, I jumped, cheered and squealed with excitement. The Wave Sayonara is the design love-child of the Wave Precision and Wave Elixir and Mizunos lightest everyday training shoe to date. Plus it is a shoe made for my foot. Yay! I was ecstatic upon opening my Mizuno Wave Sayonara's box. These shoes are bright pink with purple markings and absolutely beautiful. The Sayonara is my first pair of Mizuno shoes and I could not wait to try them out on the pavement. This is a neutral shoe with "as needed" support elements. I wear a size 8 - 8.5 in street shoes and prefer my running shoes as a 9. The size 9 Sayonara's were a little roomier than I am accustom to but with cushioned socks, the shoe fit perfect. The U4ic midsole delivers optimal shock attenuation, durability, and superior ride that is 30% lighter than AP+. Mizuno Wave Technology provides the perfect balance of lightweight cushioning and stability. 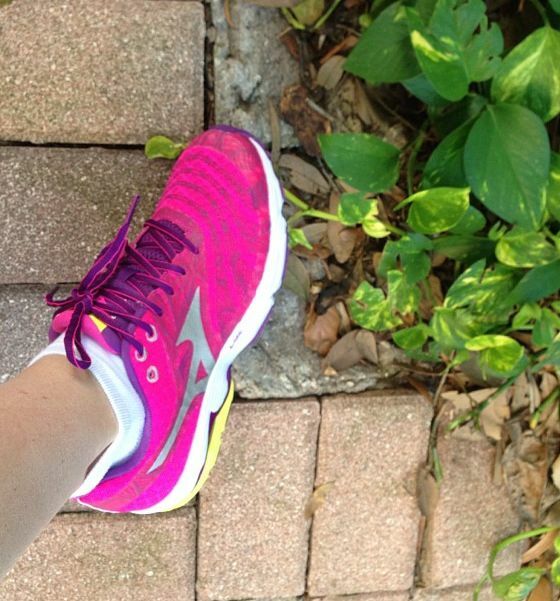 I have ran three times in the Mizuno Wave Sayonara's in the past week. I have also been stopped twice while wearing them out in public, asking me all about the shoe. 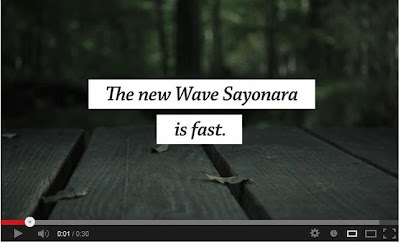 The Wave Sayonara is officially released this Friday, July 5th and I already know two people who have pre-ordered after hearing me gush about them. So do I suggest this shoe??? ABSOLUTELY without a doubt, yes yes yes. 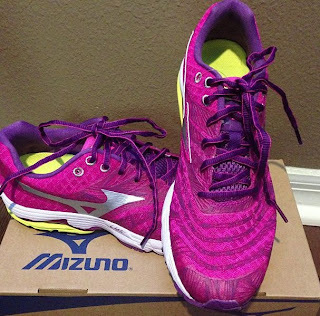 DISCLOSURER: this was a compensated review of the Mizuno Wave Sayonara, made possible through my partnership with FitFluential. All opinions are mine. OK...green eyed monster posting a comment now! I want some free Mizuno's!!! I switched to Wave's last year after my foot injury and surgery from New Balances and LOVE them! So light, but supportive and fits my wide feet.